Wanna know what makes me really happy? Driving someone else's BMW M3 around an autocross track. 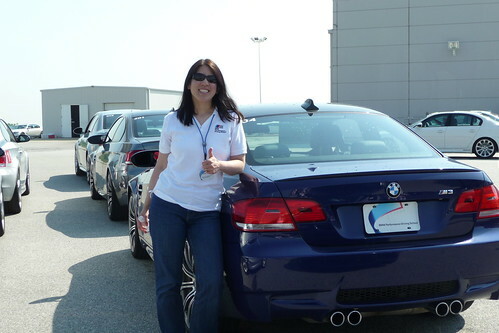 I had the honor and pleasure of taking a course at the BMW Performance Center in Greenville, SC with a bunch of fantastic ladies a couple weeks ago. Of course it helps to be a BMW enthusiast, but I think just about everyone would enjoy and benefit from this type of event. 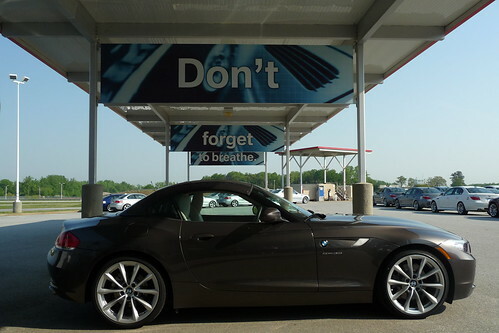 "Don't forget to breathe", especially when looking at that beautiful new Z4. 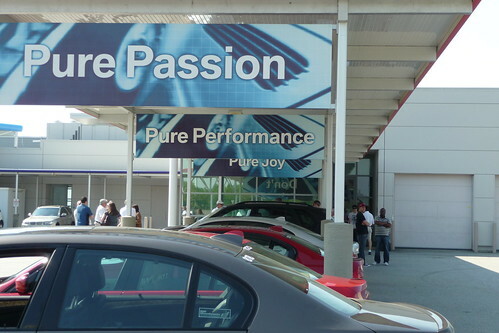 On the other side of these banners were the BMW slogans, "Pure Passion, Pure Performance, Pure Joy". It truly was. I was in car heaven. 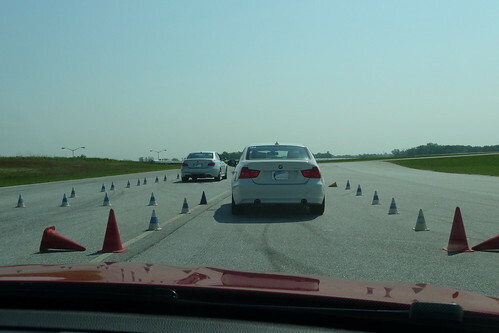 Besides the autocross track, we also practiced a lane change maneuver. Here we are checking out the course, by driving slowly through it. 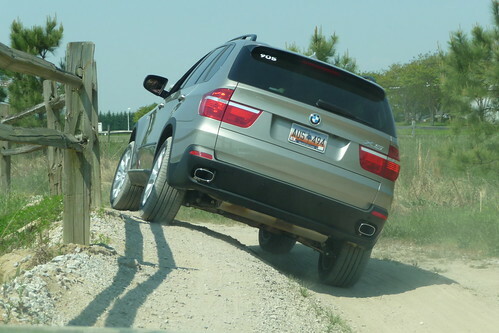 We also drove an off road course with the X5. By far my favorite course was the skid pad. Having had some previous automobile and motorcycle courses, the other track work was very similar. But I had not experienced the skid pad. Coming from the snowy and icy streets of New England, taking to the skid pad with an instructor in a safe environment was a thrill as well as educational. Spinning out on a street is deathly scary. Spinning out on the skid pad is a total rush. Learning how to gain control of a skid is total enlightenment. Check out these hot laps around the skid pad with the instructors. Woo hoo!!! Note: This is not a sponsored post. I paid te big bucks myself to be part of this ultimate BMW experience.